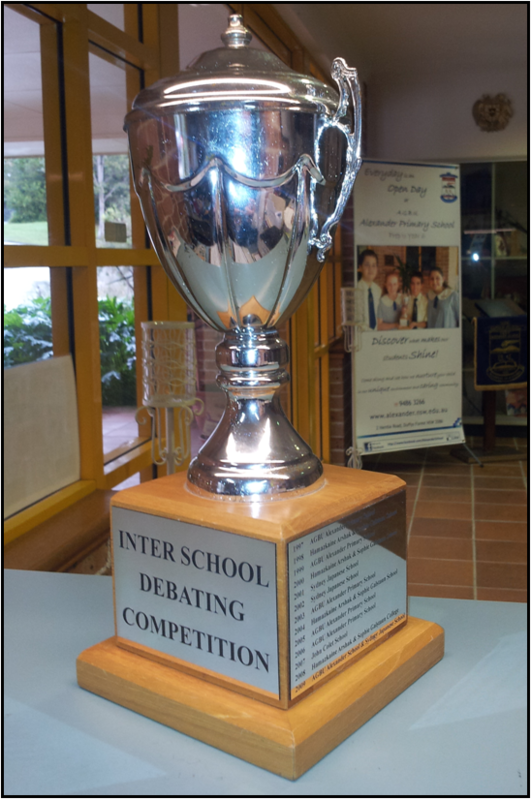 AGBU Alexander Primary School - Blog: Debating News: DEFENDING CHAMPIONS OFF TO A GREAT START! Debating News: DEFENDING CHAMPIONS OFF TO A GREAT START! The debating season is again upon us. On Wednesday, 6th May our school hosted the first debate. In this competition we will be competing against Year 6 students from The German International School, Sydney Japanese School, John Colet and Galstaun College for the Interschool Debating Trophy. In our first debate we opposed Galstaun College. The topic was ‘Sports Stars should not be role models’ and we were on the negative team. The negative team consisted of Taniel as first speaker, Tzolare as second speaker, Nina as third speaker and Matthew was fourth speaker. Samuel took care of the time keeping and Talia was the chairperson. Our team was able to use strong arguments and well thought out rebuts. We spoke clearly and were able to convince the adjudicators that we presented the stronger case. It was a great round one result! Well done team! Debating News: ANOTHER VICTORIOUS DEBATE!